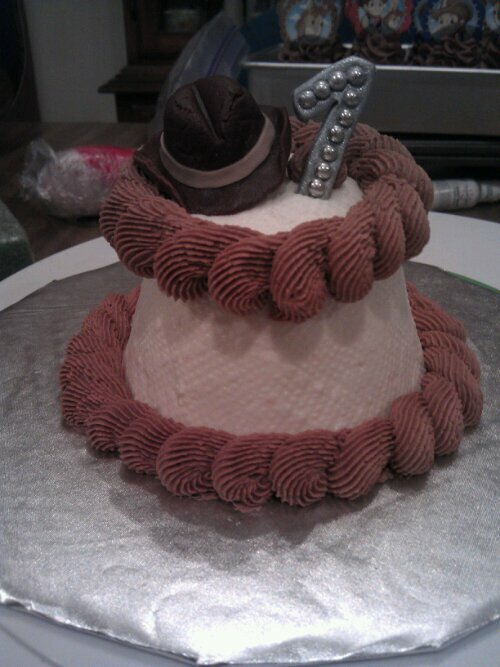 10″ white cake iced with vanilla buttercream icing. 6″ white cake iced with vanilla buttercream icing. 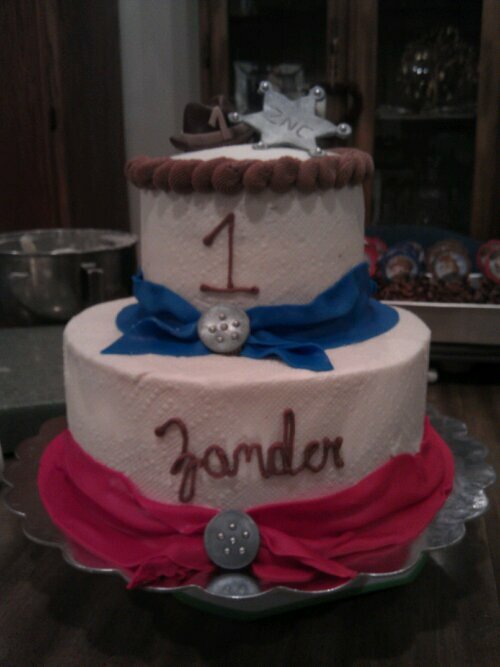 Bandannaas, buttons, hat and badge are all handmade from fondant.